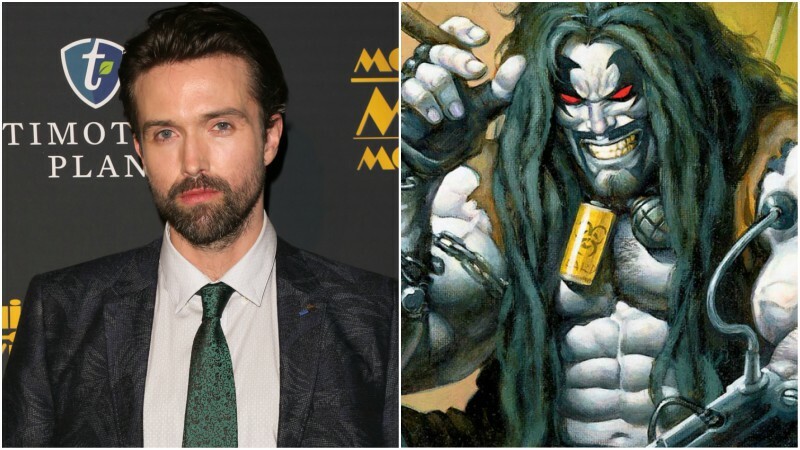 A few months after announcing at Comic-Con that interstellar mercenary Lobo would be the major villain in season two of SyFy’s Krypton, the series has found its star in The Fall‘s Emmett Scanlan to take on the role. The Hollywood Reporter first broke the news. Created in 1984 by Roger Slifer and Keith Giffen, Lobo is a Czarnian (originally Velorpian) bounty hunter who, as a nearly indestructible anti-hero, drives a space-faring motorcycle across the cosmos in search of his next target. The character has fought some of the most powerful members of the DCU including Superman, Hal Jordan, Martian Manhunter, and Deathstroke. Some versions of the character have aired on the side of sillier tales, seeing the character take down his fourth grade teacher and even the big man himself, Santa Claus. The arrival of Lobo on the small screen comes as a bit of surprise as the studio has been reportedly developing a feature film centered around the character with an eye toward Michael Bay directing. WB is apparently considering the character their answer to Ryan Reynold’s successful Deadpool franchise at 20th Century Fox. The 39-year-old Irish actor has made a name for himself in the television industry, starring in big-profile shows such as A.D.: The Bible Continues as Saul, the NBC adaptation of Constantine as Jim Corrigan and the BBC crime drama The Fall as Glen Martin.